IT was two winners from four for Thommo on Monday and he has Monday bets from Hexham and Wolverhampoton. GLINGER FLAME (3.40) has been placed in all four career starts and the application of cheek-pieces may inspire Nicky Richards’ gelding to win on his handicap debut at Hexham. He hasn’t always run straight under pressure, but the headgear may do the trick under Brian Hughes. Glinger Flame went close to conceding 7lb to Off The Hook at Ayr last time and that is good form. WANAASAH can make a winning handicap debut at Wolverhampton. The filly was having her first start for David Loughnane since leaving Mark Johnston when beaten on the nod by John Gosden’s Questionare here earlier in the month. An initial mark of 72 seems fair. Many thanks for all the get well messages everyone, i read them on sunday night, much appreciated. As dan has told you my next bet is on friday. Thanks jimba, sorry you missed sundays bet. Do you have a tip for the grand national yet hibee1? I hope you are feeling better and thanks for the winner on sunday. Really sorry craig the national is not the kind of race i look at i’m afraid. Where is the horse running Database? it is the last race at Hereford, he was 2/1 at midnight and now 13/8, my horse was 5/1 and is now 7/2, the rest have drifted. He beat a horse called Nadaitak, Nadaitak (12th in this years Albert Bartlett) was rated 130, after losing, NTO he came out and won a class 1 off 130 by 22 lengths. He beat rivals who had/have won off 132 and 140. His time was 16 seconds quicker than when losing to Ratface, however given we are in class 4 today, I am going to overlook it. Ratface drops in trip a bit and was 8th of 9 last time but the trainers other winners have done similar, he has come in from 5s and the only ever horse who’s seen money is talktomenow 13/8 from 2s, which can often be a bad sign. PU F PU UR is the form of this horse’s last four runs. He is dropped another 5lbs but is at his preferred track. He won 5 in a row albeit 2 years ago, he was 4th late last year over CD and is 12lbs lower, having beaten a couple subsequent winners. just a FWIW also, Brittain won for us at 16s last night, he owes me nothing but even if he did, i’d still be having a small nibble on Hussar Ballard who was out yesterday finishing a close up 3rd, he runs off the same mark tonight and has come in from 16s, now at 13/2 however this is after TOUR DE PARIS has been taken out (13/8f). He is 11/8 to place. Very unlucky lto when falling at the last, would have won in a canter. Geraghty’s only mount of the day also catches the eye. Morning All. Well done yesterdays winners.No bet myself yesterday. Next time that I say racing does not look all that inspiring I need to go away and do something else for the day. Lesson learned yesterday. good luck with RAYA TIME, it was cruising when you tipped it last time, 20 length lead the whole way yet it was “allowed” to be reeled in when finding nothing. i was on big last time so can only watch, especially given the drift (7/4 > 5/2), but hopefully this time it does the business. gd luck, i liked graystown myself but it has now gone out from 7/4 so maybe if you were too hexham heavy, he is the one to sub out. BOL. I took the wrong busstop pick lol… put the other 2 back on along with Havanna Rocket in the 7pm Wolv so now just need that for £324 or take the current cashout of £111?? good to know plug cheers, hope he does the business, although will take a place. 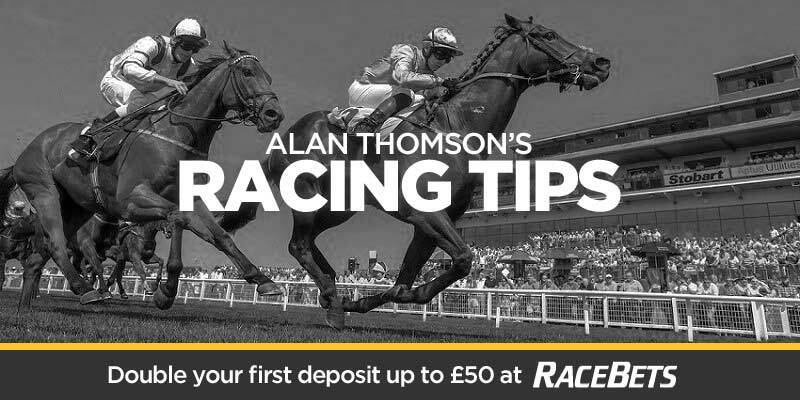 i just swapped out alan’s tip from about 5 multiples as it drifted to 4/1, unreal! from a £10 bet I would say cash out, it’s 11 £10 trebles for the days to come. the horse looks a decent prospect but we dont have much to go on, he beat a 75 rated winner by 2 lengths and he races off 83 again going up in class. i have terrible luck with cash outs, typically always wrong so i will advise the cash out, you can only really not cash out if you are happy to lose £111… your bank you decide. Cheers guys am no 2 bad for cash so may let it ride but it wasnt really the money that a was more looking to see what everyones thoughts were on the race incase they fancied another 2 win? paul cole and raul de silver are racing in their best silks in the last at wolves, last night it was 14s, as of now it is 7s, races from a wide draw and this is not a point tracked tip as I will stick with my selection found above, but these are a dangerous pairing and it is 5/4 to place, obviously the horse has never run before so small stakes. Maverick. .I would be cashing out..That’s a good day you have had..Yeh it could win..leave 10 or 20 on it..
havana looks real nice, best of luck, i would probably go alan’s to place at 2/1 seems very fair. i knew your dilemma but greed is what the bookies pray on. it was a tough choice but you should have cashed out, as i said 11 £10 trebles with endless possibilities, the overhyped short price horse loses a massive percentage of the time, especially in this sort of race where we had very little indicators. never cash out on horse bets. bookies havemade millions more since that was started. it is well known. football bets sometimes it is worth doing. your horse was boxed in stopped its momentumcoming into the straight i would say 8 times of 10 it would have won that race. unlucky.